Cheers! Nice to meet you! Lizard Head Cycling Guides and guests welcome you! 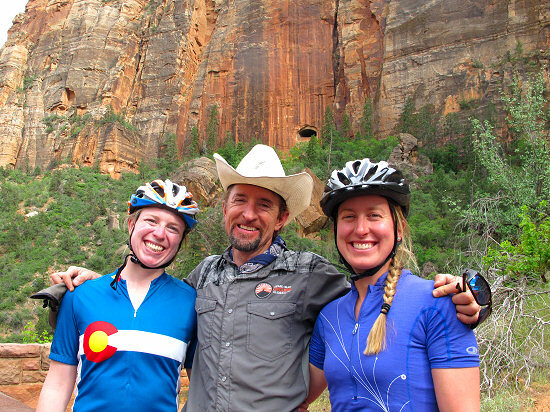 Since 2008, Lizard Head Cycling Guides has provided vehicle-supported road and mountain bike tours through some of the wildest, beautiful and inaccessible areas in the American West. Join one of our unforgettable cycling adventures, and you’ll enjoy sleeping in beautiful lodges, desert spas or camping beneath the stars. We delight in fine dining with “one of a kind” local flavors. 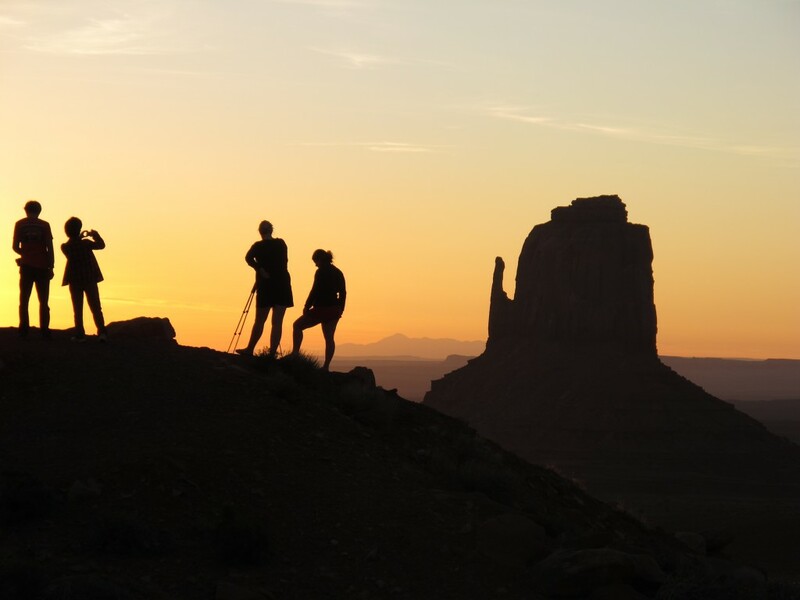 One of our guiding principles is “Sourcing the Best of the West” On each Lizard Head Cycling tour we have chosen our favorite restaurants, undiscovered MTB trails, quiet car- free, scenic By-Ways and eclectic lodges. We understand vacation time is limited and life is fleeting. Trust that a vacation with Lizard Head Cycling will be rewarding and time well spent. This is where we live… Telluride in winter! Ajax from Caldera Creative on Vimeo. 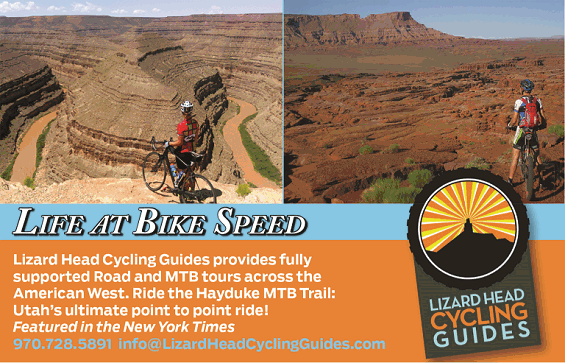 Lizard Head Cycling Guides offers bike tours from 4 to 14 days in length. They’re all-inclusive, offering lodging, great meals, shuttles and guide service (bike rentals and some amenities at an additional cost). 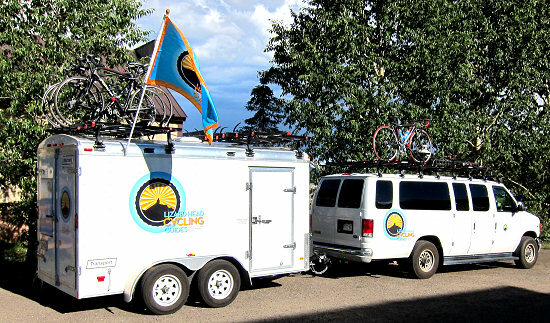 Our Climbing Camp tours offer a no frills less-expensive format. 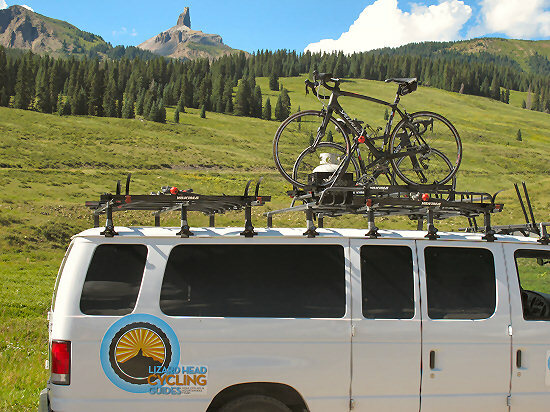 Although acknowledged by the New York Times in 2010 as having some of the most challenging bike tours available, our intermediate to advanced clientele easily customize their daily mileage options on each of our tours. 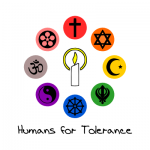 So if you’re up for the challenge, come join in on the fun! 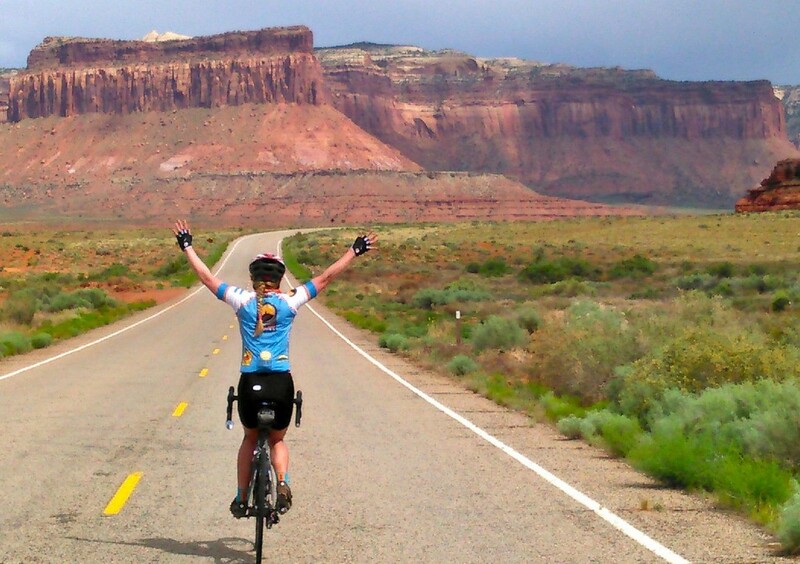 View our In the Press Page and see what others are saying about our one-of-kind cycling tours. In case you were wondering, our unusual company name comes from the striking tower of 13,000-foot Lizard Head Peak in the San Juan Mountains of Southwest Colorado. 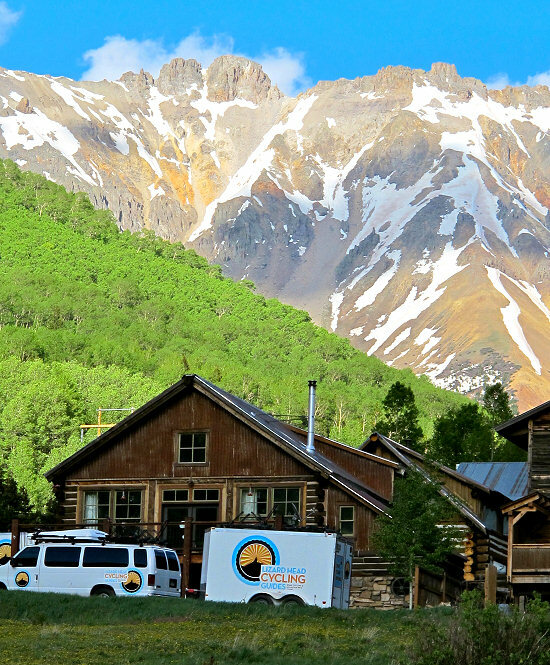 We’re headquartered in the village of Ophir high in the Colorado Rockies at 9,900-feet. Say hello to Lizard Head Peak! 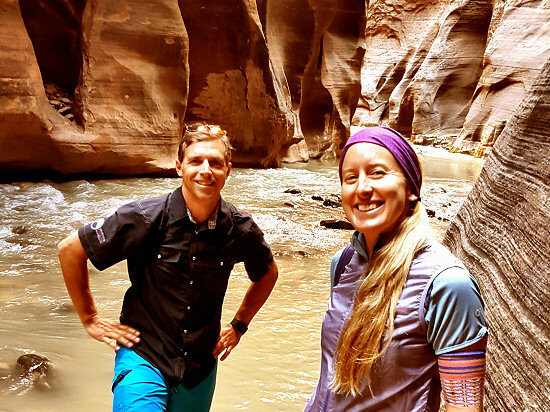 The majority of Lizard Head Cycling’s ten guides have at least 20 years of professional guiding experience leading expeditions ranging from the world’s highest peaks to remote waterfalls in Utah. They have extensive knowledge of flora, fauna, bike mechanics, logistics, culinary skills and emergency medicine (a truly rare set of skills!). The company’s owner, John Humphries, grew up in Pennsylvania and moved to the southern Rockies in the early 1990’s. Early on John worked with troubled youth as an educator leading tours in the remote mountains of New Mexico and teaching in native America schools. He also managed and served as a heli-skiing guide for Telluride Helitrax. John has two young sons, Marshall (age 10) and Ellis (age 7), who have been told they will need to pull their dad around as he grows old.